General Manager at Petrossian Boutique New York and Project Development Specialist. Serguei is only 25 and his career is already reaching the highest spheres. 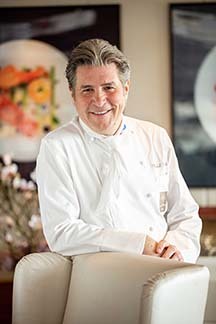 His impressive resume lists working with 2 of the world’s most decorated Star Chefs, working for 5-star properties exclusively and spreading his professional experience on 3 continents, 5 countries and 7 cities. Today, less than 2 years after his MBA graduation at Vatel San Diego, Serguei is General Manager at Petrossian Boutique New York. Since it’s foundation in Paris in 1920, Petrossian is the most respected brand of caviar in the world and Serguei is trusted to develop the Petrossian brand in the USA. We met Serguei to learn more about his background and the reasons for his inspiring success in his own words. Born and raised in France, the young Serguei Aver discovered his passion for wine and “Art de la Table” when he was 14. He decided to leave the traditional educational path in order to concentrate on what he really wanted to do in life: becoming a wine expert and reaching the highest level of culinary sophistication. Serguei decided to enroll at the gastronomic Ferrandi school in Paris for a 2-year vocational degree (BEP), earning a professional certificate in the art of hospitality and wine. Serguei also completed his high school degree with a 2-year professional Baccalaureate program, which included a practical training. At this time Serguei learned to master the foundation of perfect culinary service through a 2-year apprenticeship at the 5-star Renaissance Marriott Hotel in Paris where he had the privilege to work for the internationally acclaimed 3-star Michelin chef Alain Dutournier. Already thinking big and international, Serguei realized that he needed to perfect his English language skills and decided to spend 6 months in New York City to take ESL classes. The energy in New York city was exhilarating and he fell in love with the Big Apple, promising himself to come back one day. Serguei started a 3-year Bachelor degree at Vatel Martigny in Switzerland. Alternating between courses and practical training allowed Serguei to work with major names in the industry such as the acclaimed and Bocuse d’Or recipient, Chef Roth. During his first year in 2013 the Bayview restaurant by Chef Michel Roth at the Hotel President Wilson, Geneva, received its first Michelin star along with a grade of 17/20 at the Gault&Millau. How exciting for Serguei to participate in this stellar achievement! Year 2 of the Vatel Bachelor degree offered Serguei the opportunity to study abroad with the Marco Polo program and Serguei embarked to Manila, Philippines. 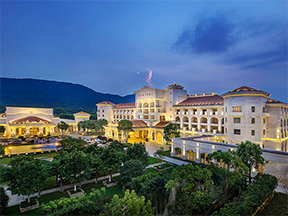 There, in addition to discovering a new culture and studying with fellow Filipino students, Serguei completed an internship in China as assistant Manager and quality controller for the 5 star Sofitel Golf & Resort in Nanjing, China, reporting directly to the General Manager. Through this rich experience Serguei learned about a different management style and discovered a taste for leadership. His mission was to increase profitability and efficiency by applying Accor standards for the F&B Department. In less than 6 months Serguei drastically improved the sales by implementing innovative ideas and bringing his passion for luxury to an exclusive clientele. After Europe and Asia, Serguei grasped the opportunity to study a Master of Business Administration degree with concentration in Hospitality Management at Vatel USA. Enrolling in 2015 at Vatel San Diego, Serguei enjoyed the American teaching methods, refining his knowledge in management, leadership, entrepreneurship and finance among other subjects. Soon Serguei realized that his true passion was entrepreneurship and project development. After a year under the California sun, Serguei was ready to complete his final 12 months management training in his favorite city: New York. The very chic and trendy Bagatelle restaurant offered Serguei a management position at their corporate office. The Bagatelle group represents 13 locations worldwide, and 1,200 employees. 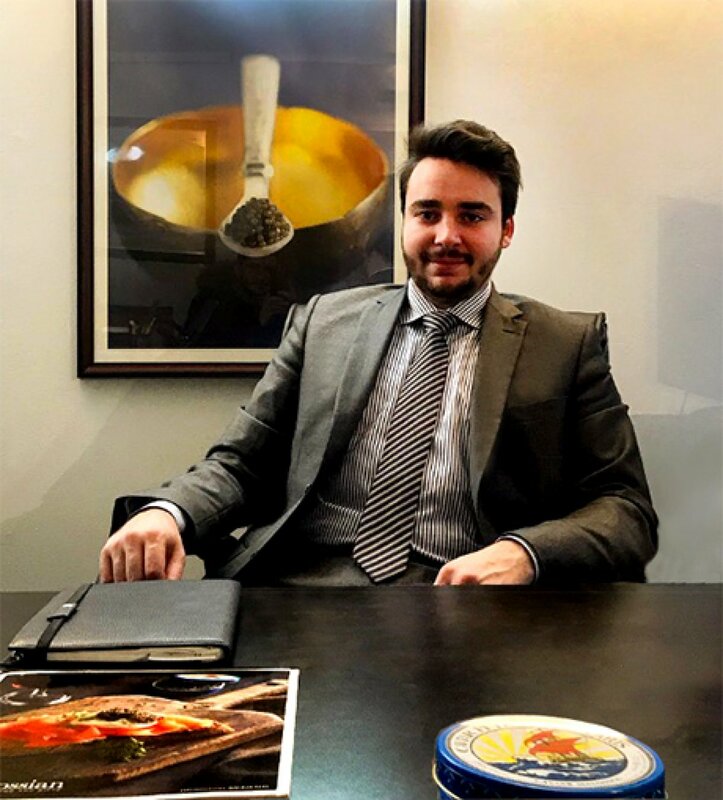 Through his professional connections, Serguei met the owner of Petrossian USA who recognized his potential and offered him a working visa after graduation. An opportunity that Serguei accepted gladly! Today, Serguei is the General Manager of the Petrossian New York Boutique & Restaurant on West 58th Street, by Central Park. Additionally, Serguei overlooks projects and the development of the brand in the USA, which includes openings in several cities across the country. Serguei is blooming into a warm, confident and sharp leader, ready to take on any challenge. Thanks to Serguei’s recommendation, four current Vatel USA students have also been offered management positions at Petrossian New York and Los Angeles with training and career opportunities for the future. 1- Study and work abroad as much as possible. Vatel offered me the priceless opportunity to work on 3 continents and it really made a difference in my professional life as well as personal development. What you will learn and the experience you will get are so much more important than the one-time earnings you can make. 3- Learn how to present or “sell” yourself. In France we learn to be humble about what we achieved but there are ways to put forward your greatest talents and experiences in order to stand out and be recognized for your true value. Get business cards and expand your connections. If you want to do great things, bring people with you along the way. 5- Exceed expectations and never give up! As a final remark Serguei adds: “I wanted to be independent at 18, travel the world and be successful at what I love to do. Today I can say that Vatel allowed me to reach my dreams. Completing the Vatel San Diego courses and having the opportunity to complete a 12-months management training in the USA is really what I recommend to anyone serious about their career.